Paradise for those who like peace and quiet (or quilters who would just like to piece in quiet), or would this just be too quiet and peaceful? 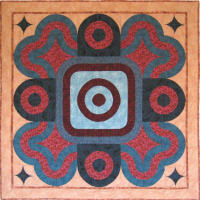 Made as a result of my exhibition in quilt shop "De Naaidoos". Quilt detail. 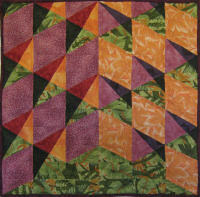 Used Electric Quilt 6 for these simple blocks and shadows.